We are living in the Era of the internet and technology. Every now and then we hear about the new technologies and some astonishing updates in the current technology. Accessing any information is way easier than before. Not just the piece of information but almost everything. One of the few areas which are still struggling is money transfers across borders and involved operations. Living in abroad and working for abroad employers such as freelancing requires cross-border money transfers. This is totally different than in-house or within country money transfers. Transferring money to abroad involves a lot of time, high charging fee and associated risk. Even we pay the higher fee, it is not free from risk. If in case anything happens there is a chance that you will not get your money back. The bank is also helpless in such cases. The risk is eliminated to some extent with online payment systems like Paypal and financial institution networks like SWIFT, however, sending even a small amount of money still costs higher. Ripple is one kind of solution to these problems. Yes, you read it right. The ripple that left Ethereum behind and became the second largest cryptocurrency at the end of 2017. This revolution was indeed a big achievement. 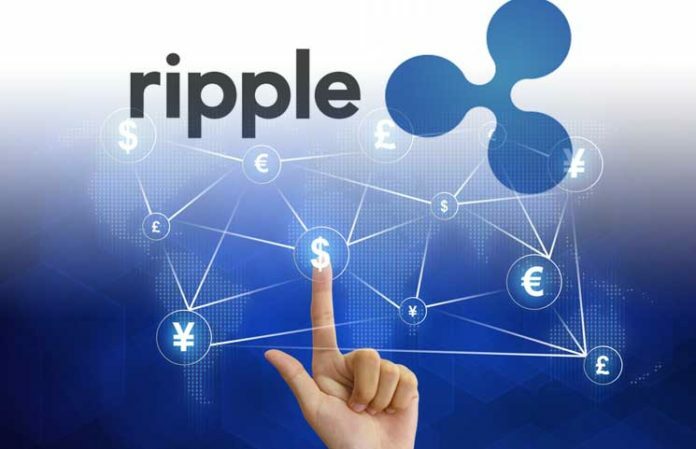 Ripple, that is the next big solution after Bitcoin which has a partnership with American express and Santander to make things flexible and easy for users. Ripple is not new like Blockchain. The payment protocol was launched back in 2004 and started struggling since then. In 2012 Jed McCaleb and Chris Larsen co-founded OpenCoin corporation which developed the Ripple payment network and protocol. Later they approached Ryan Fugger with their idea. Chris Larsen is the richest person in cryptocurrencies as per the Forbes. He has founded various start-ups in financial services and known very much for E-loan. Jed McCaleb, the ripple co-founder is the programmer, entrepreneur who has founded several start-ups and cryptocurrency exchanges. 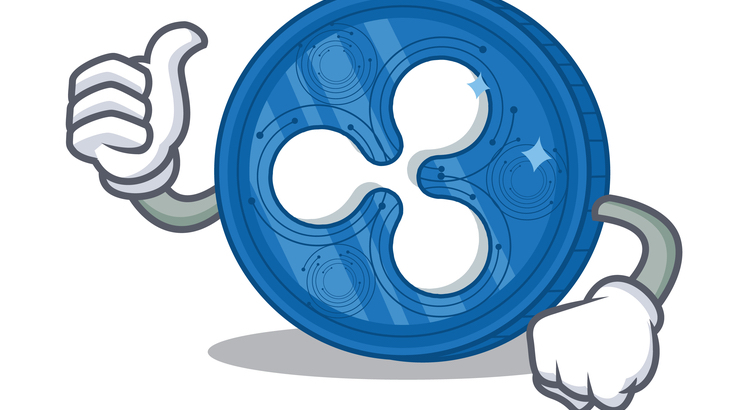 Understanding Ripple altogether in an article is not easy but this is an attempt to make you understand the basic aspects of ripple. When we talk about ripple there are two things, a cryptocurrency ripple which is called as XRP and a payment network. XRP tokens are a medium to integrate the digital currencies and assets to the real world. So basically, XRP tokens are the tool in ripple Payment network which is the basic unit to solve many problems solved by the ripple network. The ripple payment network allows the exchange of money at a global level without the involvement of any third-party and hence at low cost. Ripple as a cryptocurrency holds the second largest position as per the market capitalization. The idea behind the Ripple payment network is to expedite the global payment system and not replace the existing one. Ripple connects financial institutions, digital assets, banks, and payment providers together to establish a systematical connection and easy interaction. XRP tokens are a solution to this. The tokens are designed to transfer currencies in a unique way. The ripple transactions are 215 times faster than the Bitcoin. The payments can be settles within four seconds with more than 1500 transactions per second which is far higher than the seven transactions per second of Bitcoin. The efficiency and its uniqueness make it popular among financial institutions. The transfer process in Ripple (XRP) is smooth with the reason that it is not completely decentralized like Bitcoin. Blockchain decentralizes the cryptocurrencies to which requires millions of miners to mine the currency continuously and validate the transactions. The main aim of Ripple is to speed up the global payment system improving the existing payment bodies. Ripple was not designed as a currency or a product but a payment protocol. The payment protocol was launched in 2004 but the blockchain was the missing edge. The blockchain of Ripple or RippleNet only requires 25 independent nodes which are managed by financial institutions, banks and Ripple itself for all to agree on the same public ledger to validate the transactions. This makes XRP much faster than other decentralized cryptocurrencies as there are only 25 nodes to validate the transactions instead of millions of miners across the world. With acquiring RippleNet, ripple also owns the entire distribution of XRP. This means that you do not have to spend hours to mine the token, you need to buy tokens via cryptocurrency exchanges. Ripple is designed to improve the existing payment system hence making transactions cheaper, quicker and easier. There is no time investment in mining the coins as Ripple holds the sole distribution of coins. Ripple is not any startup but the established organization with the trust of banks and financial bodies which makes it safer. It is very likely that it will be used by all the banks one day and the price of ripple will skyrocket. Though there is a long list of banks supporting Ripple, there are many in the staging phase only. The Ripple platform is still being used but not the token. There are rumors that despite being the high speed and higher abilities your transaction can freeze which is fearful. When the Ripple co-founder tried to sell worth million dollars ripple, the transaction was reversed. It is away from the decentralization idea behind cryptocurrencies. Ripple is centralized, so it is basically regulation by one organization. The whole idea behind learning about cryptocurrencies is to know if the investment is safe or not. So, there is one thing for sure is “nothing is one hundred percent safe in investment”. There is always a risk associated. One must go through all the parameters before making any investment plans. Personally, I believe that investment in Ripple should be long term. Instead of establishing itself as a separate payment system, the ripple has taken the initiated to make the existing payment systems better in coming years. It has a vision of making money transfer easier, cheaper and more reliable around the globe.